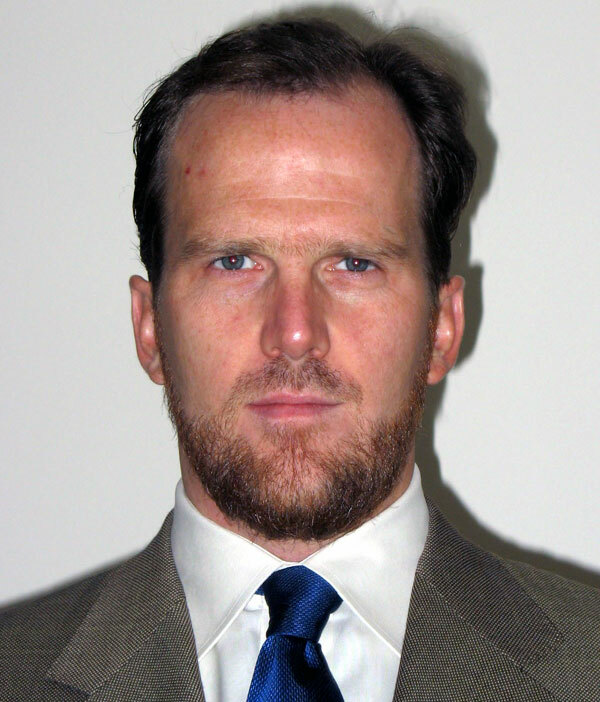 Joseph E. B. Lumbard is currently Assistant Professor of Classical Islam in the Department of Near Eastern and Judaic Studies at Brandeis University and former Advisor for Interfaith Affairs to His Majesty King Abdullah II of Jordan. He is the editor of Islam, Fundamentalism, and the Betrayal of Tradition: Essays by Western Muslim Scholars (World Wisdom, 2004), the translator of “No god, but God is My fortress...” Ahmad al-Ghazali on Dhikr (Fons Vitae, forthcoming), and an editor of The Harper Collins Study Quran (Harper Collins, forthcoming). The text below is an edited transcript of a telephone conversation between Thomas McFarlane and Professor Lumbard in July of 2006. This document is copyright © 2007 by Joseph E. B. Lumbard and is published here with his kind permission. Thanks to Janet Black for transcribing the audio of this interview. Tom McFarlane: Perhaps, by way of introduction, we can start with your professional activity. What are you currently up to? Joseph Lumbard: I am currently an assistant professor of Islamic studies at Brandeis University. I just moved back to the U.S. from the Middle East. I was in Jordan where I was working as an advisor to the King. Before that I was in the American University in Cairo. Tom: Could you share with us a little bit about your upbringing and in particular your religious background? Were you raised in any particular tradition in your family? Joseph: I was born and raised in Washington D.C. and I was baptized and brought up within the Episcopal Church, and I even served as an altar boy for a while, but in my teenage years I kind of lost interest and wandered away. Tom: So your relationship to religion sounds like it started out pretty positive. Was there some particular event in your teenage years that changed your relationship to the Episcopal Church? Joseph: No, there were no particular events. My individual experience was that I didn’t find any sustenance or real guidance within the Church at that time, so I drifted away. And I think that teenagers tend to be interested in other things anyway. Tom: And then at what point were you introduced to Islam? Joseph: I was introduced to Islam when I was a sophomore at George Washington University. I took some classes from Seyyed Hossein Nasr because two of my best friends had said that he was the best professor that they had ever had. Tom: And I understand that you later converted to Islam. How long was it until that happened, and what were some of the experiences that led up to that? I realized that everything that I had been searching for within Christianity was also available within Islam...and that I would be following the message of Jesus just as fully within the Islamic tradition. Joseph: Well, from the time I started taking Professor Nasr’s classes it was about a year and a half. In that period I really wanted to return to Christianity and I had started to search within Christianity for a way for myself, but I didn’t really find a church that fit for me. And along about February of 1993 I realized that everything that I had been searching for within Christianity was also available within Islam, and everything that I had cherished from my relationship with Jesus as a child would not be lost by ceasing to be a Christian, and that I would be following the message of Jesus just as fully within the Islamic tradition. And the Islamic tradition worked better for me. Tom: And how did this personal conversion relate to your undergraduate studies? You ended up majoring in religious studies, right? Joseph: Yes. Within my undergraduate studies most of the professors weren’t intending these classes to be anything but an academic study of religion, so the two are in some ways separate. But, at the same time, it was during that time when I did start again to consider some other questions, and for me the classes were ways of personally exploring ultimate questions and how different humans have dealt with those questions at different points in history. So it had an existential aspect for me. Tom: So was that personal motivation part of what drew you to focus your academic studies in religion? Joseph: Oh, yes. I think many academics are, like me, accidentally academics. This is the way we get to keep on studying what truly interests us. Tom: And so you continued at George Washington and got a Master of Arts degree and then you went to Yale for your Ph.D. in their Islamic Studies Program? Tom: What drew you to Yale, in particular? Joseph: They made me the best offer. And also, beforehand I met with professor Gerhard Böwering there and he was very kind to me. He has an excellent reputation in the field and I felt that on both a personal level and a professional level I would do very well studying with him. Tom: So, at that point I suppose it was natural that you focused on Islamic studies in particular since that was what you were primarily interested in. What did your dissertation focus on when you were at Yale? Joseph: My dissertation focused on Ahmad al-Ghazali (the younger brother of the famous Abu Hamid al-Ghazali) and his mystical teachings on the nature of love. Basically, it went through all of the textual issues pertaining to al-Ghazali’s tradition, that is, all the accounts of him in the historical literature and all the debates regarding texts that have been attributed to him. And then it focused upon the nature of these writings in his Persian treatise Sawanih (“Inspirations”), which is in many ways the first treatise in Sufi history where there is a full-blown metaphysics of love. What I mean by that is that it’s the first time where you have the full articulation of a view of reality that uses the term love to identify Ultimate Reality and then views all of the interplay between the elements of creation as the interplay between love and belovedness in which everything eventually returns to love and ultimately is nothing but a manifestation of love itself. Tom: And then what path did your academic studies take after the dissertation? How has it shifted since then? Tom: This volume contains an essay by you entitled, “The decline of knowledge and the rise of ideology in the modern Islamic world.” In that essay you talk about the Ihsani tradition. Could you explain a little more about what that tradition is and its origins within Islam? “Ihsan” literally means, to do what is good or to do what is beautiful. ...The ultimate depths of submission — which is the literal translation of the word “Islam” — is Ihsan, to do what is good and beautiful. Joseph: Yes. The word Ihsan literally means, to do what is good or to do what is beautiful. The term Ihsan began directly with the prophet Muhammad, peace be upon him. In the Koran it says five times that God is with those who practice Ihsan. And there are three instances in the Koran where it refers to people who submit their very essence to God, and then it says that they are those who do good. So there is this direct implication that the ultimate depths of submission — which is the literal translation of the word Islam — is Ihsan, to do what is good and beautiful. Tom: In your essay you talk somewhat about the relationship between Ihsan and the Sufis and how the Sufis are identified as some of the people who embody this in a very specific way. Could you say a little bit about the relationship between this Ihsani tradition and the Sufis? Joseph: Yes, the Sufi tradition is the best known manifestation of the Ihsani tradition. And, there is a saying attributed to the Prophet, peace be upon him, where he says, “Ihsan is to worship God as if you see him; for if you do not see him, he nonetheless sees you.” So, if you could actually see God before you, how would you worship God? And Sufism tries to get to that very essence. In many other aspects of Islam there have been other currents that have tried to do this, but Sufism is the best known. You might say it’s an institutionalization of Ihsan. Tom: And how would you say the Ihsani tradition fits into the larger context of Islam? If you could actually see God before you, how would you worship God? ...Sufism tries to get to that very essence. Joseph: One way some scholars of Islam have traditionally looked at it is to say that Islam, or submission, is the outer aspect of the religion — and here they mean basic practices one must do, following the law, the five daily prayers, etc. — while Iman, or faith, is the inner aspect of the religion. And then they say that Ihsan is the reality of both Islam, submission, and Iman, faith. So from that perspective, Ihsan is what truly gives life to the religion. Without it, the outward practice is like a dead letter. Tom: So, would you call these inner and outer aspects of the tradition the exoteric and esoteric aspects, or do you prefer not to use those particular terms? Joseph: You can use them, but one has to be cautious because there’s no hard line between the two. They intermix and they interpenetrate with one another. Tom: I know this tradition has a long history within the larger Islamic tradition, but what happened more recently starting in the mid-nineteenth century with the Ihsani tradition in Islam? Joseph: Well, one element was that there were some abuses in Sufism. For example, the antinomian nature of some Sufi groups and the emphasis on rituals rather than focusing upon helping the human being come to be mindful of God in everything that they do. This was coupled with the feeling of inferiority by many Muslims in relation to European civilization. So, many Muslim intellectuals — probably with the best intentions — saw Sufism to be a kind of backwards part of the Islamic tradition. They viewed Sufism as an unattractive part of the tradition, as the type of thing that has been holding Islam back and preventing it from becoming a modern religion. So they felt the need to discard these aspects of Islam. An example of this is the manner in which Ibn al-Arabi’s works were banned in Egypt. It turns out that the person who was behind that — Mohammed Abduh — liked to read Ibn al-Arabi himself, but he didn’t think that it should be widely available. And there were efforts to stem the tide of Sufism, particularly in Saudi Arabia where it was made illegal. The conservative Wahabbis there denigrated Sufism and viewed it as a non-Islamic addition to Islam. On the other hand, there were liberals who declared that Sufism was filled with myths and superstitious nonsense, and that one really needed to follow European enlightenment ways of thinking. So from both sides of the spectrum there were people who attacked the Ihsani tradition and wanted to rid the Islamic faith of this dimension. Tom: At one point in the essay you described these conservative and liberal views as two sides of the same coin. This image intrigued me because Professor Harold Roth, who specializes in Taoism, also used this image. He described the difference between Christian fundamentalist believers and fundamentalist non-believers as two sides of the same coin, because the position that God is totally transcendent and separate is just the flip side of the position that everything is completely secular. Do you think that relates to what happened within Islam? Joseph: It’s related, but within Islam the liberals aren’t being entirely secular. Both the conservatives and liberals are emphasizing a complete transcendence of God, at the expense of the immanence of God, which is always emphasized in Sufism. Tom: One of the points you emphasize in your essay is the importance of recovering the Ihsani tradition within Islam. Why do you think this is important and how would you like to see it happen? If you look at the view of many of the classical scholars, Ihsan is truly at the heart of Islam. ...And as people have gone away from this, the voice that Sufism has given to Islam has been lost. This voice is something that needs to be recovered because it has for the most part been a very moderating voice. Joseph: It’s of the utmost importance. If you look at the view of many of the classical scholars, Ihsan is truly at the heart of Islam. If you have no Ihsan within your beliefs then they become an empty doctrine. If you have no Ihsan within your religious practice, no desire to do things beautifully and virtuously, then you’re just doing it for purposes of custom. And as people have gone away from this, the voice that Sufism has given to Islam has been lost. This voice is something that needs to be recovered because it has for the most part been a very moderating voice. Many Sufis in history have served as the conscience of the community, always reminding people in the community that, although there are many concerns in this world that we need to attend to, we should not lose sight of what is most essential. Tom: So how do you see this recovery or revitalization of the Ihsani tradition happening already, and in what direction would you like to see it continue to move forward? Joseph: There has been a lot scholarship over the last twenty years showing that it is ridiculous to hold the position that Sufism was not an integral part of Islam. So if you are going to say that Sufism should be completely extricated from the tradition, then you are actually saying that Islam itself needs to be drastically modified from what it was from the time of the Prophets until at least the pre-modern period. That is something that people don’t want to say because its ultimate implication is that most Muslims before us had it wrong, and now we are going to get it right. So this scholarship is a very important step toward restoring the Ihsani tradition. And then what is happening more recently is that a lot of people are seeing that the promises of fundamentalist Islam are false. The chickens have unfortunately come home to roost: In the name of reforming Islam, the fundamentalists now kill more Muslims than they do non-Muslims. Tom: And you were involved with founding the Islamic Research Institute. Was this motivated also by this desire to recover the Ihsani tradition? Joseph: Yes. The overall idea behind the Islamic Research Institute has been to wed the best of the classical Islamic teaching tradition that is still alive in many places with the best aspects of modern academic methods. The goal is that this marriage would eventually breed scholars that are trained in both the classical and modern academic styles of scholarship. They could then apply many of the teachings of traditional Islam to the circumstances of modern man. Tom: And what outer form has this institute taken? Joseph: It’s currently defunct due to lack of funding. I still see it as a possibility, but it takes major funding to do this right. If somebody shows up with a lot of money, I’d be happy to do it again, but I doubt that is going to happen. Other institutes are starting up that have some similar ideas, but I don’t see them going in the best direction yet, although that may change. Tom: You have also done some interfaith work, in particular an event with Professor Rob Eisen. Could you tell us about that event? His Majesty...called for using the term Judeo-Christian-Islamic tradition, rather than Judeo-Christian tradition because we are all three part of a greater whole. Joseph: Yes. The event to which you are referring was held in Fall 2005. His Majesty King Abdullah II of Jordan delivered an address to a group of Conservative, Reform, and Orthodox Rabbis in Washington, D.C. The speech was specifically designed to help bring about greater understanding between Muslims and Jews and to help people to see how much these two traditions have in common and how this can help build a sustainable peace in the Middle East. I think that His Majesty gave a brilliant speech. There was universally excellent reception. I didn’t hear a word of criticism. His Majesty also gave a speech to the national prayer breakfast on February 2, 2006, in which he called for using the term Judeo-Christian-Islamic tradition, rather than Judeo-Christian tradition’ because we are all three part of a greater whole. The problem with the term Abrahamic traditions is that the way in which Islam has related to that term is vague. What he emphasized were those voices, both within the Koran and the Bible, that open towards an acceptance of other religions and that underline the same themes of peace and understanding. For example, the passage in Deuteronomy, “The Lord our God, the Lord is One” is like the Islamic declaration of the Oneness (tawhid), “There is no god, but God.” And there is also the common emphasis on social justice in all three traditions. The Psalms tell us, “Seek peace and pursue it,” and the Koran says, “If they incline unto peace, then you also incline unto it.” One could just go on and on throughout listing these similar verses next to each other which show that these religions have all been trying to get human beings to do the same thing, which is to worship God to the fullness of their ability and to respect one another in doing so. But we keep mucking it up by thinking that they are telling us to develop institutions whereby we will oppose all other institutions and fight with the people who do not submit to the authority of our institution. Tom: What are some of the ways that Sufism reminds us all of the essential message of these traditions and in particular what you call training of the soul? This training of the soul is what you would find within mystical traditions of all religions. The main focus is trying to get down to the heart of what the religion is about. Joseph: This training of the soul is what you would find within mystical traditions of all religions. The main focus is trying to get down to the heart of what the religion is about. Within Islam, very specifically, very simply stated, it is that your soul submit to God. Now, in order to do that you need to train yourself to do it. You can’t just one day wake up and say, “Okay, today I think I will finally submit.” You have to go through a process wherein the soul, in a sense, comes to learn that this world that we see around us is not its true home. Its true home is the hereafter where it dwells with God. And when the soul knows that, then it inclines naturally to that, so it’s not always a matter of discipline. But until one gets to that point it is extremely important for you to have the discipline to learn to remember God when you forget and learn to notice when you forget. Of course the main discipline in Sufism is dhikr, the Remembrance of God. Different Sufi orders have some different ways of practicing that, but within all of those orders it’s best summed up by one Sufi, a Moroccan shaykh, who said, “The human being has need of many things. But in truth he has need of only one thing, and that is the remembrance of God.” Now there are methods for how one gets to the point when one truly remembers God, for example, sitting down after prayers and dedicating a certain amount of time to reciting either particular formulas that contain verses from the Koran, or simply going through the rosary where one repeatedly recites the name of God (i.e., “Allah, Allah, Allah, …”). Some of the Sufi Orders would have one recite many names of God, other Sufi Orders would emphasize that one invoke the Shahadah (i.e., “La ilaha illa-llah”) over and over again. And within most of the Orders you also have the practice of khalwa (retreat). And what one does in the khalwa is that one withdraws from society for a period of time. Some Sufi Orders just make it a day, others choose three days, a week, or the traditional forty days. A person goes into a room and just invokes, leaving only to participate in daily prayers and to relieve themselves. This is really essential to learning dhikr because it teaches the soul to be alone with God. And it also teaches the soul that the world continues. All of these worldly things about which we are so concerned and so worried day in and day out, they all continue even when we’re not there to be so concerned about them. Even on a daily basis, even if we’re not pursuing the perfection of our souls, that’s an important lesson. Tom: How is the Ishani tradition similar to some other philosophies? You mentioned in your essay that it was similar to Plotinus, Meister Eckhart, and the philosophy of Shankara. What do see as shared among these? Meister Eckhart, Plotinus, Shankara — all of them have an emphasis on realizing that this world is illusory in comparison to Ultimate Reality and...in order to do that we need to follow a method that will discipline our souls and help us to purify ourselves of the illusions that arise from our daily existence. Joseph: All of them — Meister Eckhart, Plotinus, Shankara — all of them have an emphasis on realizing that this world is illusory in comparison to Ultimate Reality and realizing that we have to try to live in accord with Ultimate Reality and not merely with the desires that arise out of this world, and that in order to do that we need to follow a method that will discipline our souls and help us to purify ourselves of the illusions that arise from our daily existence. Tom: Would you say that they also share a doctrine of nonduality or oneness? Another person we interviewed, David Loy, wrote an interesting book about the common doctrine of nonduality in various religious traditions. Would you say that the Sufis also share this universal teaching? For example, does the Shahadah “There is no god but God” express this idea of nonduality? Tom: And Ibn al-Arabi talks about the non-existence of ourselves. For example, he says, “Existence belongs to Him, and non-existence belongs to you.” Would you elaborate on this, and on the Sufi concept of fanaa, the passing of the self? How do you think that idea might be similar to teachings in other traditions like Buddhism where there is this concept of anatta, or no self? Joseph: The comparison of fanaa and anatta gets very complex. Anatta, the emptiness of self, is one of the most difficult and elusive of the Buddhist teachings. The teaching of anatta is that there is no ego, nothing actually has this enduring existence, and one realizes the Void in everything. In the Sufi tradition one does speak about the ego, but in the end that ego needs to be seen as nothing, it needs to be extinguished within the Ultimate Reality. Although it is a different way of approaching this Ultimate Reality, nonetheless, I think that they are pointing towards the same fundamental teaching, which is that in the face of what is true, all of the findings of our psyches are but illusions with which we are deceiving ourselves. Tom: Another interesting parallel between traditions relates to their use of apophatic descriptions of Reality, descriptions that approach Ultimate Reality through negation. For example, in Hinduism there is the teaching “neti neti” and in Buddhism there’s emptiness, the negation of any self-existence to any existences. Similarly, in Islam Ibn al-Arabi says that “He [Allah] is not accompanied by thingness, nor do we ascribe it to Him. The negation of thingness from him is one of his essential attributes.” Do you think this relates to some of those teachings on apophatic approaches to Reality? Any conceptualization that we have, any words that we use, are already something within the realm of form and limitation, and therefore they are not the Ultimate Reality. Joseph: Yes. I think that there is definitely this apophatic aspect in Islam. The Shahadah is ultimately an apophatic declaration. What all of these apophatic teachings are driving at is the same point, which is that any conceptualization that we have, any words that we use, are already something within the realm of form and limitation, and therefore they are not the Ultimate Reality. So when we get into all these doctrinal disputes and back and forth, a lot of times we think that we are trying to get to this Ultimate Reality, but we’re playing the same game that the soul plays with us at the level of our lower passions, just going in and out of our illusions, never quite getting down to the nitty gritty and committing ourselves to a true understanding of Reality. Tom: And is that true understanding of Reality what has been called Knowledge by Presence by al-Ghazali or Gnosis by Ibn al-Arabi? Joseph: Yes, definitely. In Knowledge by Presence one is getting that Knowledge directly from the Ultimate Reality itself. Or, in Buddhist terms one has experienced emptiness, one has experienced the Void. And the only real knowledge of it is this full experiential knowledge of it. Ibn al-Arabi refers to this as Gnosis. Also the term that’s often used within the school of Ibn al-Arabi is verification. Again, you are looking at it, you are experiencing it yourself, and you have verified it through that direct experience, and it is only through that direct verification that there will be any knowledge of it whatsoever. Everything else is just kind of grasping at straws. Tom: And is it correct to say that this is not a relational type of knowledge, where there is a “you” as the knower of an object of knowledge, but it transcends even that? Joseph: It transcends even that. In a sense, you come to realize that your Realization is simply the Divine, the Ultimate Reality, realizing Itself. Tom: In your essay you described this Ihsani tradition as a science of Ultimate Reality that allows one to see the Truth in one’s own experience. This sounds similar to the principle in empirical science that one needs to verify a truth in an experiment. Could you elaborate on what you mean by a “science of Ultimate Reality” and how that might be similar or different from empirical science? You can’t really know something until you actually experience it, and this is what the Sufis say over and over again. Until you taste Ultimate Reality, you’re not actually going to know what it is. Joseph: Yes. It’s extremely similar, because you can’t really know something until you actually experience it, and this is what the Sufis say over and over again. Until you taste Ultimate Reality, you’re not actually going to know what it is. And it’s the same thing in empirical science. There are a lot of things that we are told, but we really don’t actually know most of these things ourselves unless we go and we do the experiment ourselves. Otherwise we’re just taking what other people say for granted. And within religion most people are taking the teachings about God from other people, but that is merely to know about, it is not to know directly. Remember, in the hadith (sayings of Muhammad) the Prophet said that Ihsan is to worship God as if you see him; for if you do not see him, he nonetheless sees you. So one must take another step. If you actually were to get that taste of what Ultimate Reality is, then you would fully know how to worship God as if you see God. Then the other thing is to be fully mindful that God is fully aware at every moment. Through such mindfulness one gets to the point of being able to see it. This is according to the Sufis — I haven’t done it, so I am just talking about it here. But in that way it’s similar to empirical science. But it’s different from empirical science in that empirical science can only focus upon the physical world around us and develop tests of that, so empirical science could never develop a test for the experience of Ultimate Reality. Tom: In the beginning of your essay you write, “From an Islamic perspective, it could be said that ignorance is our only true foe, and Knowledge is our only true need.” Are you referring here to the Knowledge of Ultimate Reality? Tradition provides society with principles that are as closely aligned with Reality as one can get in the imperfect world of limitation. ...But when it comes to that Ultimate Knowledge, all other knowledge pales in comparison. Joseph: This is where it gets really tricky. There are some things that we do know in the realm of form and limitation that are less limited by form than other things, and so someone could have some religious knowledge that can help that person move towards Ultimate Reality and help them at times live their lives in accord with an understanding of Ultimate Truth, even though they don’t fully Realize it themselves. This is a function of religious law that tells you what to do even though you don’t necessarily know it. And in that way you are participating in that Ultimate Reality virtually, though not directly. And this is what tradition is. Tradition provides society with principles that are as closely aligned with Reality as one can get in the imperfect world of limitation. Tom: So, short of that complete Realization, it’s an intermediary to help us at least align better with that Reality. Joseph: There are many intermediaries, but when it comes to that Ultimate Knowledge, all other knowledge pales in comparison. People such as Ibn al-Arabi and al-Ghazali are speaking from the perspective of actually having Realized that Ultimate Truth, and are now going to help other people Realize That. Tom: So in that quote, when you say, “Ignorance is our only true foe, and Knowledge is our only true need,” the word knowledge there has multiple levels of meaning. We need knowledge, and basically any kind of knowledge more than what we already have is what we need. Joseph: Exactly. We need knowledge and any knowledge more than what we have. Within the Islamic context, even knowledge of Arabic grammar helps get one towards freedom because it helps one understand what the Koran is actually saying. Knowledge of the natural world can also move one in that direction. The Koran over and over again says, “Do they not look at the stars and the sun?” “Do they not look at the night and the day?” “Do they not look at how the moon follows the sun?” “Do they not see the trees?” “Do they not see the animals around them?” It constantly refers to these things. It says, look, if you actually understood these things, you would know, with complete certainty, that there is no god but God. Tom: So there’s no realm of knowledge that could possibly lead you astray if you were to take it deeply enough. Joseph: If you were to take it deeply enough and take it in proper perspective. Tom: What would you say is the proper perspective for the study of science within the Islamic context? To view the laws of nature as the limitations that God has set down for the proper functioning of things is, from a traditional Islamic perspective, a way that one can see the greater glory of God within the sciences. Joseph: One should not view science as an end in and of itself. Within Islam, science is properly understood as the way in which God works, so you are not ascribing an Ultimate Reality to the laws of nature. From an Islamic perspective, viewing natural laws as ultimate would be considered almost blasphemous. But to view the laws of nature as the limitations that God has set down for the proper functioning of things is, from a traditional Islamic perspective, a way that one can see the greater glory of God within the sciences. Tom: So there’s nothing inherently within science itself that contradicts or that conflicts with Islam, but it’s the metaphysical context one has in approaching science that matters. For example, if one views science from the perspective of metaphysical naturalism or scientism then that would be in conflict with Islam, and probably with many other religions, but if one puts the activity of science in a sacred metaphysical context, then it would be completely compatible. Joseph: Yes, “metaphysical context” is exactly the right phrase to use because if you view metaphysics as being the science of Ultimate Reality, then that is relating all other realities to the Ultimate Reality. And that ultimate relation of all realities to Ultimate Reality is, for Ibn al-Arabi, what verification is. You are seeing everything and how it fits in the overall big picture. There is absolutely no problem whatsoever doing science in this context, which is why in the medieval period the Muslims were the greatest scientists that the world knew. Part of the reason for that had to do with the degree to which Islam encourages the appreciation of the relationship between all levels of Reality. Tom: So, this might include teachings from other religious traditions as well. There’s a quote from Ibn al-Arabi in which he says, “Be completely and utterly receptive to all doctrinal forms, for God most high is too all-embracing and great to be confined within one Creed rather than another.” Does that relate to what you were just saying, and do you think he’s saying that one should be open to other religions? Joseph: I think that there is definitely the implication that one should be open to other religions, but I think that, within the context in which a man such as Ibn al-Arabi would have been writing, this passage would have been more likely directed to Muslims who were having disputes within Islam about the attributes of God and other things. At the time he was writing, the tradition had developed texts that were like a catechism setting forth the things that Muslims believe. Now, from the perspective of knowing Ultimate Reality, disputing these different doctrines and creeds can be kind of silly. So Ibn al-Arabi is saying, “don’t confine yourself within a particular Creed,” specifically referring to the different Creeds of Islam. But it definitely has implications for how one should view other religions. Tom: I hope that it does have those implications, at least for many people it would be very helpful for the world. Joseph: I hope so as well, and I think it would be. Tom: Thank you very much, Joseph. I appreciate your answers and the thoughtfulness of them, and for your time. Joseph: Well, thank you. I appreciate it. And I really appreciate being asked good questions.